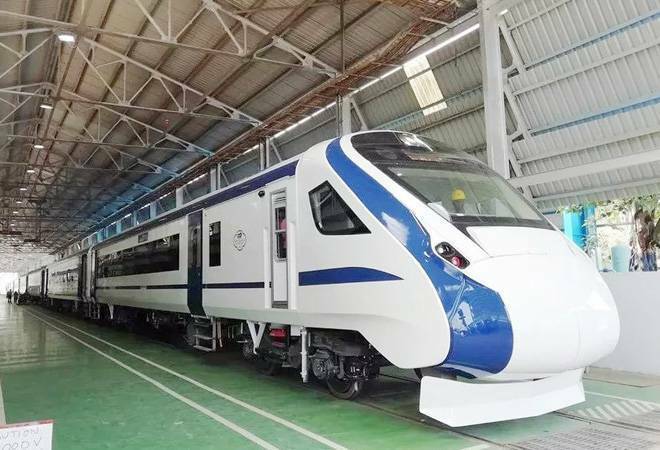 The train, which will run at a speed of 130 kmph, will reduce journey time between Delhi and Varanasi from the present 11 hours and 30 minutes to 8 hours. The Railways is likely to begin the commercial run of the much awaited Train 18 between Delhi and Varanasi next week, just ahead of the Kumbh Mela in Allahabad which begins on January 14, sources said Wednesday. It is also likely to be one of the four special trains to ferry delegates of the Pravasi Bharatiya Divas on January 24 from the Kumbh Mela in Allahabad to the national capital in time for the Republic Day event. The train, which will run at a speed of 130 kmph, will reduce journey time between the two cities from the present 11 hours and 30 minutes to 8 hours, the Railways said. “The train is 45 per cent faster than the fastest train on this route. It will be flagged off by the prime minister ahead of the Kumbh Mela,” said source. While Railway Minister Piyush Goyal, who inspected the Train 18 rake, on Wednesday refused to give a date for the train’s first run, he said it will “begin service soon”. This entry was posted in Kumbh and tagged delhi, Kumbh2019, train18, varanasi.